Cool shot, my guess is a 1941 Dodge on the left -a little thrown off by the long hood, 1941 Ford and a 38 Ford on the end? You may be right with the 50's as they aren't new any more. 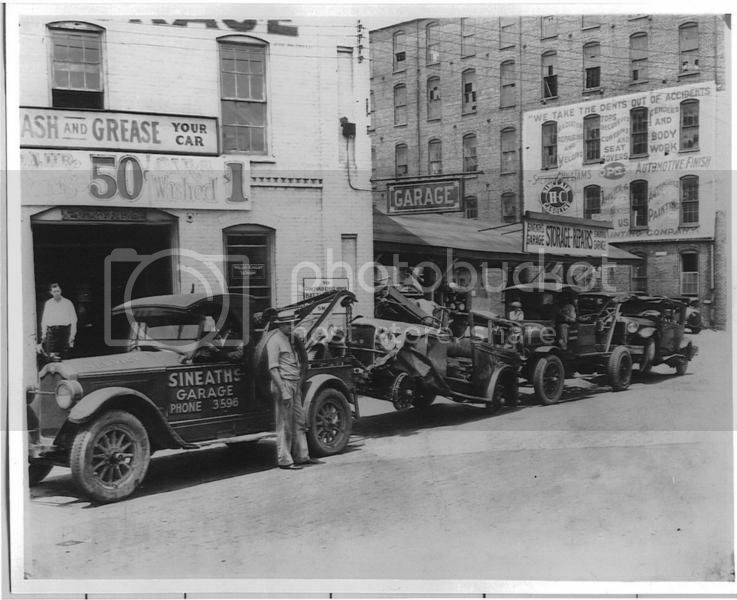 Here's another oldie, taken circa 1928 in Greensboro, NC. Bit of info, the man in the hat beside the front truck is the founder, J.I. Sineath.